Why are Indonesia's forests so imperiled? No nation on Earth is losing forest faster than Indonesia--the magical land of over 13,000 islands. But what is causing all that deforestation? Sinan Abood, ALERT member Lian Pin Koh, and their colleagues assessed the specific drivers of forest loss in Indonesia, between 2000 and 2010. The picture that emerged has some surprises. For one thing, the biggest driver of forest loss wasn't oil palm, but rather industrial pulpwood plantations. Mega-corporations such as Asia Pulp & Paper and APRIL have cleared vast expanses of rainforest and peat-swamp forest for such plantations, especially in Sumatra and Indonesian Borneo. Second on the list was industrial logging. This indicates that logged forests in Indonesia, which still harbor a great deal of biodiversity (see this blog), are intensely vulnerable to being cleared. 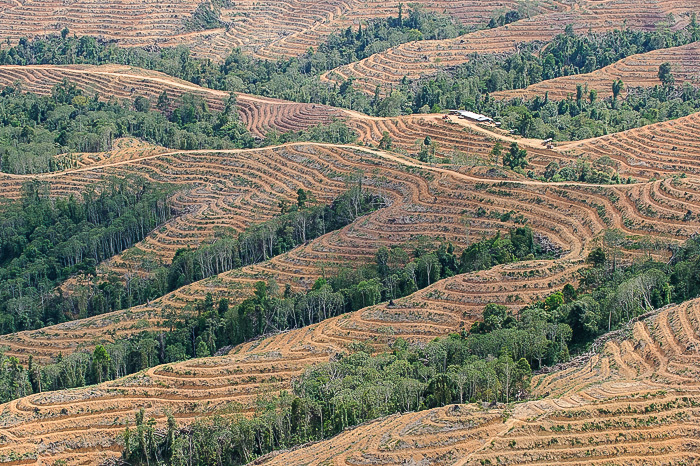 Oil palm, while still important, was actually number three on the list of industrial forest destroyers. Notably, the authors surmised that over half of all deforestation was caused by actors other than the big three above--including slash-and-burn farming, legal and illegal mining, and other causes. The authors conclude that vast expanses of Indonesia's forest have been allocated to industrial concessions, especially logging concessions, where they are intensely vulnerable to being cleared. Some of the greatest conservation opportunities in Asia revolve around finding ways to protect these imperiled industrial forests.